A new luminaire family? Only if we can do it better. illumination Physics is noted for integrated façade lighting. A genre of specialised lighting that demands the core values of project-specific custom engineering underpins our company’s philosophy. Every architect’s design and every façade is different, or should be, so it makes sense that we treat them all as individuals. Without preconception or compromise we create perfect luminaires to match the architecture of the building envelope - a business model that makes perfect sense if perfection is the goal. 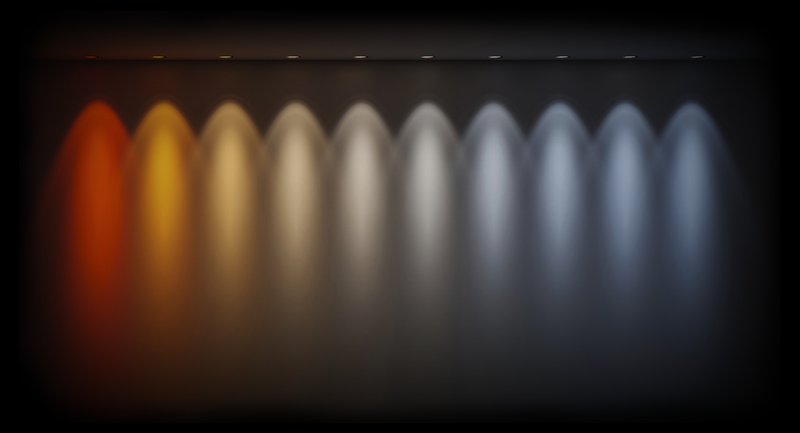 Can the illumination Physics design philosophy be applied to downlights? 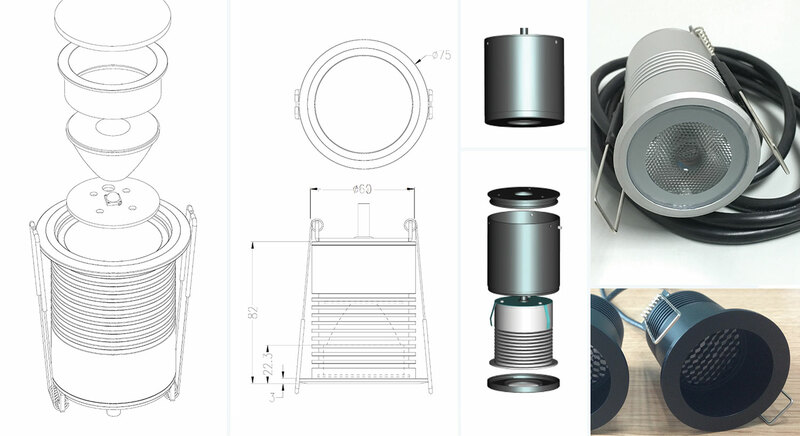 We have produced a family of dynamic RGBW colour changing, dual white and high colour rendering recessed downlights in 3 watt, 6 watt and 10 watt versions. The lenses can be recessed within the fixture or flush, with or without a ‘Honeycomb’ glare shield. Excellent colour mixing is achieved with the multi-die light engines and a range of lens angles including 8 degrees, 25, 45 and 60 degrees (other lenses upon request). Barrel sizes and flange sizes are variable. 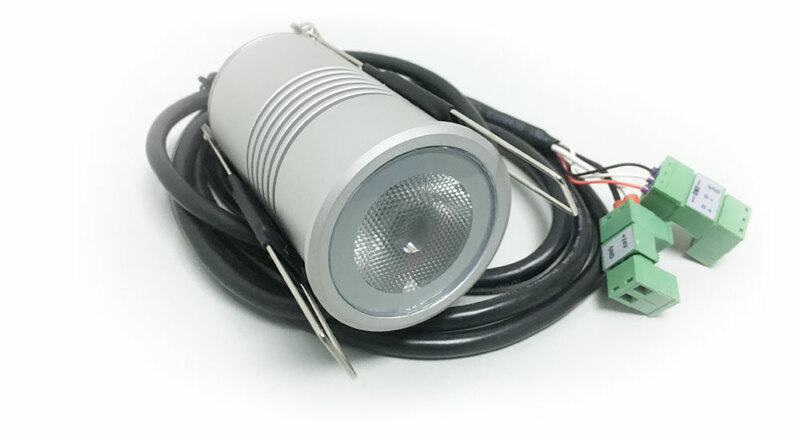 There are AC or DC power options and DMX can be on-board or the downlight can be driven by a remote driver. The LED choices can prioritise the range of colours or the colour rendering of white light, or many versions of white light from 2400K to 6000K. The luminaires can be recessed, semi-recessed (you decide), or surface mounted. Custom sizing and power are available for any purpose. Various ingress protection ratings are available including wet environments. As downlights are used outdoors too, we offer IP65 and IP66 (IP66 is the perfect rating for a luminaire installed in an environment that is subject to rain driven by high wind speed and is actually superior to IP67 in this application). 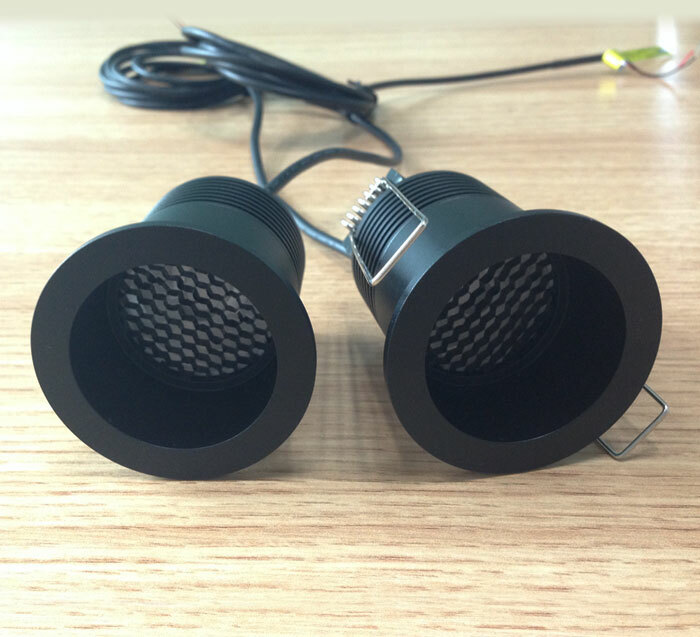 Many applications for external down lighting will be in coastal cities or along coastlines such as Hong Kong, Macau, Sydney and Melbourne so, the saline environment is a hazard to longevity. Accordingly, we offer special environmental coatings that defend the light fixture against the marine conditions. The ‘catalogue’ has lost its value. Why get it nearly right when, with a little effort, it can be perfect.